Looking for a new way to cruise your favorite stretch of water? Want a personal watercraft that will make your heart race every time you go for a ride? Try a Westski Cruiser 5.7, it's guaranteed to get your adrenaline pumping and bring fun back to boating. 350 cubic inches of raw V-8 muscle will accelerate you into the fresh air and open water in a hurry. An extra long deep-V hull will get you through rough water comfortably, and seating for four will assure you don't leave anyone at the dock. 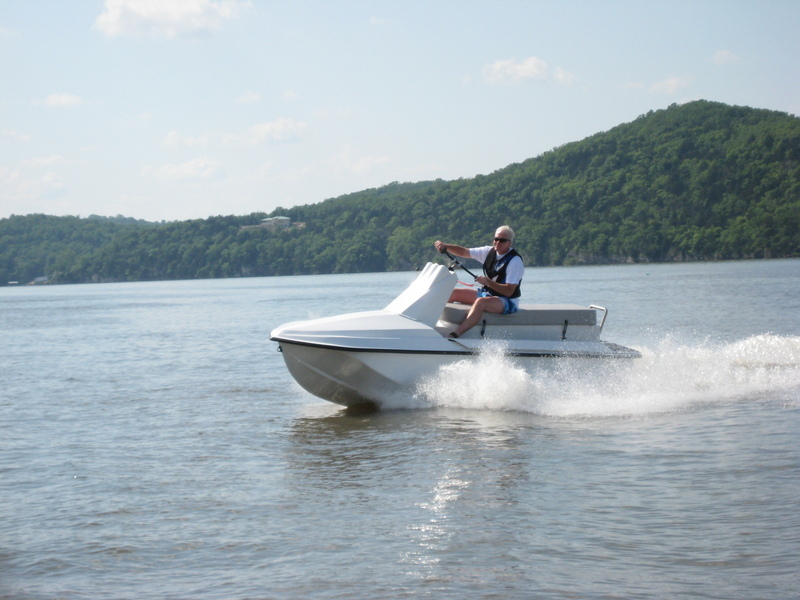 Westski is built to demanding United States Coast Guard specifications to provide a safe, reliable boating experience. Unlike other personal watercraft on the market today, it doesn't require any Coast Guard exemptions for ventilation, fuel systems or other safety systems. The Westski is a hybrid watercraft combining the ride of a powerboat with the fun of a personal watercraft. With distinctive looks and the throaty roar of a V8, it is a real head turner. If you are interested in something different, take a look at the Westski Cruiser. Copyright Westski LLC. All rights reserved.